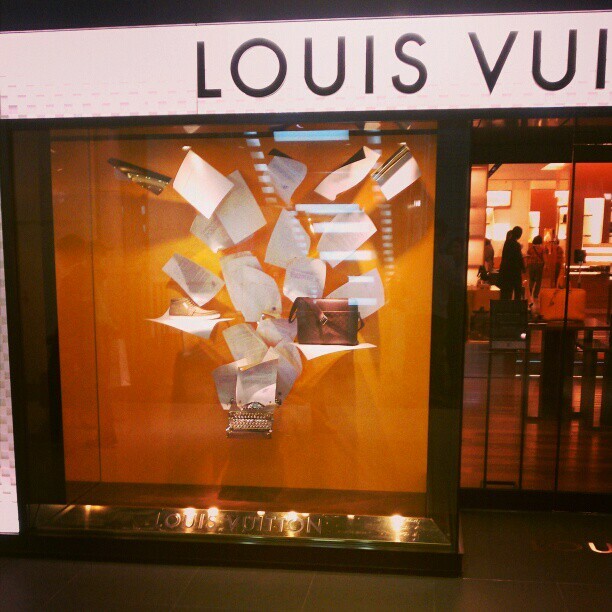 I took a picture of a display in Yokohama LOUIS VUITTON which had a bag and a typewriter with documents flying. I used HTC EVO WiMAX with Instagram. Here's the link to the Instagram photo. Please Like if you like the photo.